Historical square and Ostrów Tumski district are the oldest parts of Poznan, each remember the medieval times. The most popular building is there is Old City Hall. It use to be designed in Renaissance style, at the wall of building you can see two, automatical nanny goats, which are jumping up and down each day at noon. There are plenty of legends about this lovely figures. 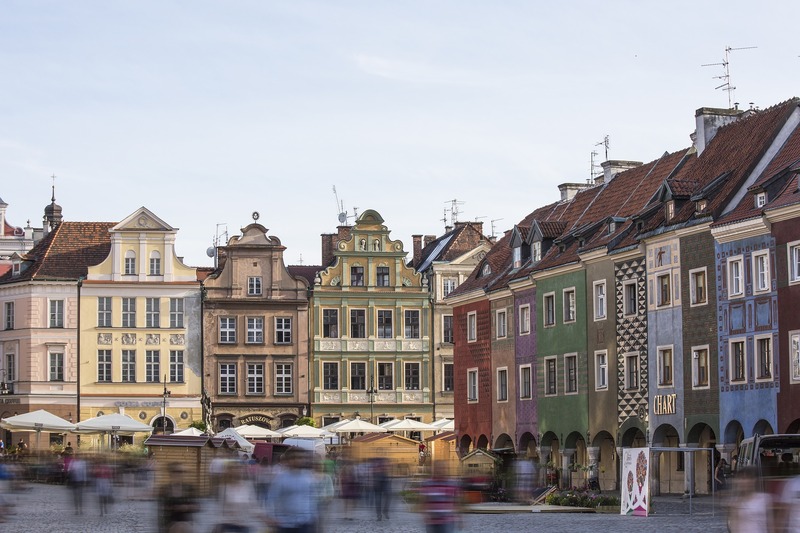 The entire square is very typical for old, Polish cities. It is surrounded by stylish mansions from Baroque, Classical and Renaissance style. At the area of square you can also see several statues and fountains. The most popular is statue of Apollo. Ostrow Tumski is situated on the small island, it is filled with old, even medieval buildings. Unfortunately many of those were destroyed during the last war, but it was reconstructed very well after that. You will see in there amazing, Gothic Cathedral of Saint Peter and Paul, and another, mostly sacral, buildings. After you will see every interesting building, now it is a time to explore another attractions of Poznan. There are two separate zoological gardens in this city. The older one has very interesting architecture which were inscribe on heritage’s list. Still it is open for tourists, a lot of animals are living in there. But the New garden is a lot more modern. It is almost the biggest object like that in Poland, you will find in there huge Elephant’s House. If you like to explore some art you need to visit Museum of Paintings and Sculptures. You will be able to admire in there plenty of masterpieces of European artists, like Monet, Velazquez and Bellini. If you like to get to know more about Poznan you can also go to Museum of History, it has huge collections of interior design and middle class accessories. People who are travelling with kids can also visit Blubry 6D Museum. It is one of a kind, interactive presentation of the most popular legends about city. During the warm and sunny day you should take a walk to Park Cytadela, huge area with a lot of attractions. In there you can admire vanguard set of sculptures named “Unidentified”, which was designed by Magdalena Abakanowicz.